You’re getting a full album today. 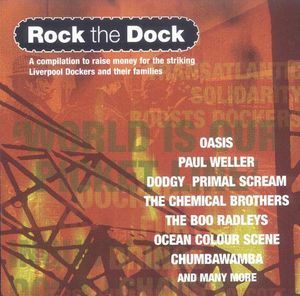 Rock The Dock was a benefit album for the families involved in the 1995-8 Liverpool dockers’ dispute (a somewhat cursory article can be found on Wikipedia, obv.). Let’s be honest, for the most part the social history is more interesting than the music. It’s got “Lazarus” by The Boo Radleys on it, which can only be a good thing, but that was already nearly six years old. Really, I only bought this for the final track. And after a first listen, only played the final track. Although it wasn’t a big hit, “Come Together” by Primal Scream is a song I guess will be familiar to many readers, in either its Andrew Weatherall or Terry Farley remixes, as respectively featured on the UK and US versions of Screamadelica. Fans may also know the mixes by Creation-signed dance act Hypnotone and balearic beatmongers BBG. But an original mix? Nowhere to be found. Which makes the promise of a previously unreleased “original version” on Rock The Dock rather alluring. The only fly in the ointment is that while the “original version” featured here is probably the closest thing we’ve got to the pre-Farley/Weatherall “Come Together”, it’s almost certainly not a true first pass. The big clue is that it credits producer Brendan Lynch and engineer Martin Heyes, which suggests it was at least spruced up around the time of 1997’s Vanishing Point. 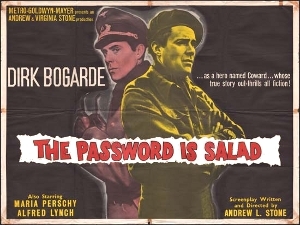 Nevertheless, it’s an interesting version, worth having in its own right. The rest? Let’s put it this way, nobody was giving away their best material here. For this one, I’m giving you the lot in one convenient zip file, or you can download whatever takes your fancy individually. So if you just want the Primal Scream track, be my guest.